“Any new venture is a gamble, none more so than a restaurant. But, as Guy Griffin discovers, The Star’s Italian-inspired Balla is relying on class and taste over luck to pull in the punters. and friends, too. The redevelopment and rebranding of Sydney’s Star City casino as The Star is aimed at luring a wider audience to Pyrmont’s neon pleasure dome. It’s an audience that may or may not be heading for the blackjack tables and pokies, but it won’t be willing to gamble on the dining experience. 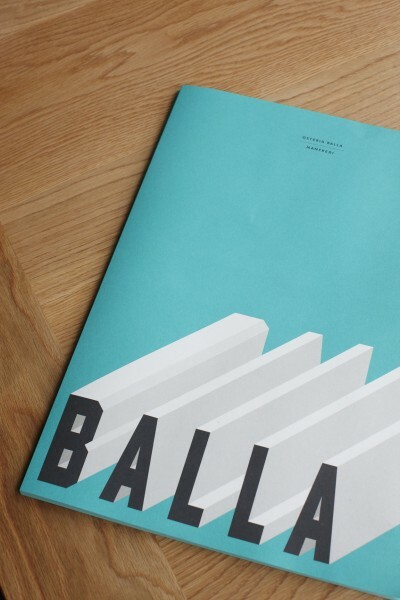 Balla marks the arrival of Stefano Manfredi, Julie Manfredi-Hughes and head chef Gabriele Taddeucci to The Star. It’s the best-looking fit-out in the complex with design from Luigi Rosselli Architects and Frost*. The name is a homage to Milanese futurist artist Giacomo Balla, whose obsession with movement extended to naming his two daughters Propeller and Light. Balls would have liked the runway entrance, the dynamic arc of the split-level room and the steel- girdered allusions to old industrial Milan. He’d have enjoyed the Dante Marioni glass lighting, too, which could be a futurist take on Saturn. Some diners will prefer the less cerebral aspects of Balla: the American oak tables, terracotta plates, ironbark-fired grill and floral mosaic columns. In the ’80s and ’90s Stefano Manfredi liberated Sydneysiders from a pasta-and-red-sauce Italian food culture captive to a narrow understanding of southern Italian cooking. He introduced us to an elegant casalinga tradition from Italy’s north, blended with seasonal Australian produce. Manfredi irritated the old-school players, but his bright, fresh flavours were a revelation. In all his restaurants, when Manfredi has been on site, the dishes have an unmistakable brio; so chef Taddeucci has a challenge at Balla. pecorino pancake resembling Ligurian farinata ($8) that’s as humble as a wooden shoe but I love its farinaceous blandness; smoky, slightly rubbery slices of lingua di vitello (veal tongue) served with a good salsa verde ($9); warm octopus and potato with a squeeze of lemon, again unpretentious and authentic ($12); and six fantastic, perfectly cold angasi oysters on the muscle ($24). a glass of 2009 Kerner, an aromatic white wine from eccentric producer Manni Nossing in Alto Aldige($18). The long, fascinating list is almost exclusively regional Italian and organised by grape variety. reduction ($38) sails close to being dry, but wood- grilled snapper, served whole and head-on, is all smoky, moist flesh, easy to fillet and very good with its three zippy salsas ($38).